The Ash Grove will long be remembered as the West Coast epicenter of the traditional folk and blues revival of the late 1950s and early 1960s. As such, the Los Angeles venue was a critical component not only in the careers of many important folk and blues artists, but as an educational environment to many aspiring musicians and songwriters, providing them with first hand exposure to the best of the best in an intimate setting. Also a focal point for progressive thought, The Ash Grove would have an equally strong cultural and political impact on many young emerging artists, laying the groundwork for what would become the counterculture of the 1960s. The Ash Grove's high musical standards and owner Ed Pearl's vision of facilitating interaction between young and old musicians made the venue a hotbed of creativity. This recording is a fine example of the entertaining and educational programming that occurred so often at The Ash Grove. Appearing first is banjo scholar, Stu Jamieson, a master musician and folklorist who, along with Margot Mayo, was largely responsible for rediscovering and preserving traditional folk and square dance music during the late 1940s. 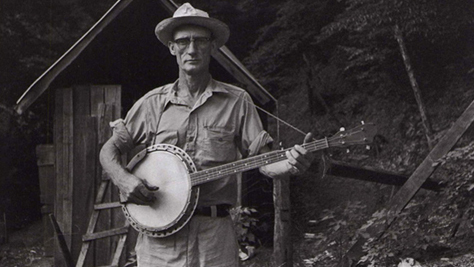 Jamieson and Mayo made the earliest field recordings of Kentucky banjo player Rufus Crisp and the influential Tennessee string band of Murph Gribble, John Lusk, and Albert York, among others. Many became aware of Jamieson in 1964, the year after this show, when several of his recordings (including "Been All Around This World" and "Shoot That Turkey Buzzard") were featured on the influential Elektra Records album, String Band Project. One of the first five-string banjo players in New York City, Jamieson spent his life performing and sharing his knowledge of banjo music. Initially sharing the stage with Jamieson is the world's most legendary troubadour, plains balladeer Ramblin' Jack Elliott, one of the last surviving links to the great folk traditions. With a life spent traveling, performing and recording, Elliott has endured as one of the most colorful and oddball characters in all of American music. In 1950, at age19, Elliott discovered Woody Guthrie while listening to Oscar Brand's radio program. Determined to learn from him firsthand, Elliott paid a visit to Guthrie's home where he wound up living for two years. 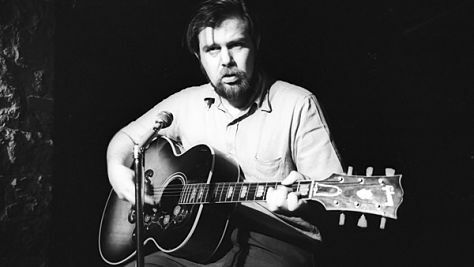 By the early 1960s, Elliott had developed into a fine flat picking guitarist and his twangy, unapologetically aggressive style and cutting sense of humor made him one of the shining lights of the rapidly developing folk scene, although he never confined himself to the folk genre. 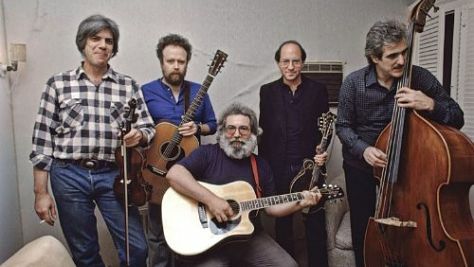 Much like Guthrie had mentored Elliott, Elliott mentored a new generation of folksingers, including a young Bob Dylan, who was another Guthrie disciple. 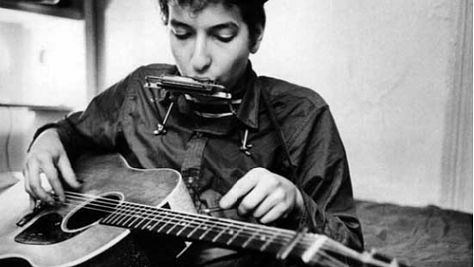 Elliott not only encouraged Dylan but also helped shape his repertoire, flat-picking, and vocal style at the time. Just as Elliott had once been dubbed "a poor man's Guthrie," Dylan, likewise, was identified as "a poor man's Elliott," before his own style developed. 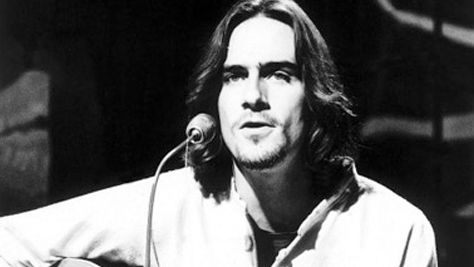 Over the course of the next half-century, Elliott would continue traveling, performing and recording, influencing and educating countless musicians along the way. The recording begins with Jamieson alone educating the audience about banjos. To demonstrate the old time clawhammer style, he performs the murder ballad, "Willie Moore," a tragic tale of heartbreak and suicide over a drowned lover. He follows by teaching the Ash Grove audience the phrase "Hi Fi Diddle I Di, Diddle I Di I Day," so they may join in on the Scottish ballad, "The Cursed Farmer's Wife." Another great murder ballad, this essentially vacillates between the sinister lyrical lines and that happy-go-lucky phonetic phrase, achieving a humorous, yet disturbing effect in the process. For the third number, Jack Elliott joins Jamieson for some wonderful guitar/banjo interplay on "Pretty Polly," before taking a solo spot on "Candyman," providing a fine example of Elliott's fluent flat-picking style. At this point, Bess Lomax-Hawes and Frank Hamilton are invited up. In terms of discovering rural music and introducing folk music to a mass audience, no American family played a bigger role than the one Bess was born into. Like her father, John Lomax, and her brother Alan Lomax, Bess became an obsessive folklorist responsible for highly influential discoveries, including the cultural goldmine of Bessie Jones and The Georgia Sea Island Singers. Bess, in addition to being a talented multi-instrumentalist, singer and hit songwriter, would become one of the most influential teachers of folk music in America. One of the founding members of The Almanac Singers, which also included Pete Seeger and Woody Guthrie, Bess inspired and personally educated countless aspiring musicians, including Ash Grove owner Ed Pearl, who was one of her guitar students at UCLA. She developed a method of teaching large groups of people simultaneously and many of her students became teachers themselves, spreading her method and enthusiasm for folk music in the process. 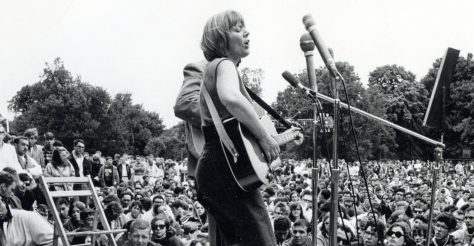 Her impact on the folk music revival of the 1950s and 1960s is inestimable as her influence is so profound. Frank Hamilton played with Woody Guthrie in the 1950s and became the house musician at Chicago's "Gate Of Horn," the first folk music nightclub in America. Hamilton, too, had been impacted by Bess Lomax-Hawes' teaching methods and would become an important music educator himself. As co-founder of Chicago's prestigious Old Towne School Of Folk Music, Hamilton served as both teacher and dean of the school. He also recorded for Folkways as a solo artist and for Vanguard during his tenure in The Weavers, another critical link in the popularization of traditional folk music. With all four of these legendary figures on the same stage, the remainder of the recording becomes a spontaneous Hootenany (or as Ed Pearl's master reel case was notated, "Hoot Nanny!"). In keeping with the loose theme of the set so far, they continue with everyone contributing to another classic murder ballad, "Banks Of The Ohio," with Lomax-Hawes on lead vocals and Hamilton contributing an additional guitar part. Hearing Jamieson, Elliott, Lomax-Hawes and Hamilton all performing together is indeed a rare treat. From here on out the set ventures into the blues and whatever else happens to tickle their collective fancy. Jamieson and Hamilton team up on the next number, "Jack The Jolly Tar," which Jamieson explains is a fiddle number collected by the legendary English ballad collector/historian, Francis James Childs. This is pure fun with Jamieson on banjo and Hamilton interjecting humorous guitar lines throughout. Then Elliott educates the audience about the one-man-band, Jesse Fuller, before he and Hamilton team up on an rousing rendition of Fuller's "San Francisco Bay Blues," a song Elliott is largely responsible for bringing to wider popularity. The two continue together on "How Long Blues," a nice slow blues that provides Hamilton the opportunity to take several impressive guitar breaks. The final number, "Cindy (I'll Marry You Someday)" exists under numerous variations and titles and as the audience is informed, dates back to the 1800s. This version is fueled by Jamieson's high velocity banjo picking and becomes an extended spontaneous jam with Jamieson, Elliott and Hamilton all trading verses, several of them improvised on the spot. Clocking in at nearly 8 minutes, their lyrical improvisations convey the humorous and competitive nature of these master musicians, each determined to be the winner of Cindy's affections. At a time when Kennedy was President of The United States, The Beatles were six months away from their first American appearance and current chart toppers included The Safari's "Wipe Out" and comedian Allen Sherman's "Hello Mudduh, Hello Fadduh," The Ash Grove was shaping and motivating a whole new generation of musicians and listeners with entertaining and educational programming just like this.